Located in Errázuriz Street 563-596 in the Quinta Vergara Park. It was commissioned by Doña Blanca Vergara de Errázuriz, a daughter of the founder of the city Viña del Mar, don José Francisco Vergara. Construction began in 1906, and was completed in 1910, under the careful watch and instruction of the architect Ettore Petri. His style is predominantly Venetian with the exception that instead of using stone and bronze for its marble construction, as was the custom in the far off Italian city, he used light weight materials. The Palace comprises 3000m of buildings. The first floor of the palace consists of dance halls, which is presently the Museum of Fine Arts. The upper floor now houses the School of Fine Arts. Most of the furnishings were acquired in Europe and they represent a wide variety of styles, the most beautiful being Rococó, Luis XVI and Imperial. The exhibits throughout these halls are visible references of the National and European Gallery. You will find valuable, European, Baroque art work like the paintings by Pedro Pablo Rubens, and with regards to Chilean artists, you can view an important phase of our artistic history in the paintings of Pedro Lira, Juan Francisco González Llano, Alberto Valenzuela Puelma, Camilo Mori, Carlos Pedraza and the teacher Arturo Gordon, who founded the School of Fine Arts in Viña del Mar. The museum has dedicated a room to the founder`s family, which exhibits a portrait of Sra. Dolores Álvarez, painted by the French artist Raimundo de Monvoisin. 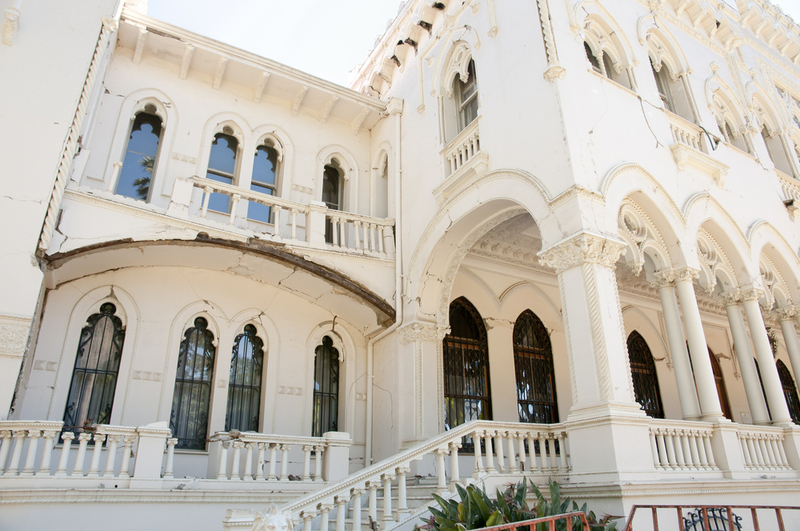 Viña del Mar City Council awarded it the status of a Historical and Architectural Building on Tuesday 9th May in 2000.